As a mobile restaurant, Food Trucks need to maintain their equipment and level of quality control. There is greater wear & tear, and stress on Food Truck equipment due to the fact it is mobile. The flexing, vibration, and jarring from hitting potholes and overall poor road conditions contributes to an increase in abuse Food Truck equipment takes over fixed locations. Most Food Trucks are designed to be weight conscious and may use lower quality, or lighter weight fittings, connections, and in some cases equipment to reach specific weight goals for the mobile platform. Because Food Trucks are mobile and travel frequently, keeping them clean is a more complicated issue. When going down the highway, it is easier for windblown dust and debris to find its way into a Food Truck than a traditional fixed structure. That combined with the limited size of a Food Truck makes an aggressive cleaning schedule a must. In addition to the dust and grime introduced from road travel into the overall Food Truck equipment, Ice machines will regularly need cleaning also. It is harder to keep a mobile ice machine clean for some reasons. Different water sources; different environments; workers coming in and out of the Food Truck more frequently; smaller work area. All this leads to contaminating ice faster. The result is dirty or slimy ice or, a more frequent cleaning schedule. Help save the life of their food truck as keep their food truck kitchen repair costs to a minimum. According to data we’ve collected from talking and working with mobile food vendors, many food trucks spend anywhere from 1 to 2 percent of sales annually to repair and maintain their trucks and equipment. Considering that the annual sales volumes for most food trucks range from less than $250,000 to more than $1 million a year, we’re talking about thousands of dollars in annual repair costs. Naturally, the varying sizes, styles, age and locations of these food trucks account for much of these differences. (Larger trucks can fit more equipment and thus need heftier generators, cooling systems, etc. Also, as a truck ages, the need to repair or maintain it increases.) Even so, after factoring in all the variables, the fact is that some food trucks manage to control these expenditures much better than others do. As veterans of the mobile food industry, we’ve found the reason for these kinds of cost differences among food trucks is most often the same reason there are differences in the quality of their food and service: the management and systems they have in place. Effective food truck management requires a vendor to be proactive rather than a reactive. Proactive vendors anticipate events. They don’t wait for issues to pop up; they’ve implemented systems to avoid them. When it comes to maintenance and repair issues, these food truck owners never wait for something to break, but rely on their systems to keep their kitchen equipment and truck in good working order. These systems include the establishment of daily, weekly, and monthly tasks to ensure consistency, reliability, and lower repair and maintenance costs. Let’s take a look at one way you can preserve the condition of your truck and equipment. will often use hoses or even pressure washers to clean up the kitchen. Keep the hoses out of your food truck kitchen! I’ve seen truck owners use a garden hose to spray down everything from ovens to floors. If you weren’t aware, water is one of the most corrosive substances in your truck. While you may have invested in equipment that has stainless steel exteriors, burners, wiring compartments, and the undersides of equipment don’t have the same protection. The over spray from a hose tends to penetrate areas that were never intended for exposure to water. If more food trucks cleaned their equipment according to the manufacturer’s instructions, you or your local equipment technician probably wouldn’t have as much work. Rather than spraying water, use scrub brushes and de-greasers on external surfaces, a manufacturer-approved oven cleaner for ovens, and wire brushes on burners. The moral to this story is: The best way to minimize your food truck kitchen repair costs, and prolong the life of your kitchen equipment and truck is to develop some simple equipment cleaning instructions (or in other words: “a system”) to make sure you and your staff properly clean your mobile food business on a regular basis. For those times when you need emergency or unscheduled service, our dispatch department is open twenty-four hours a day, every single day. Why? Because we all know, your equipment is going to go down at the worst possible time. We can create a plan that budgets for unscheduled or emergency services. We will formulate a plan that uses our extensive knowledge to create a plan that covers the typical number of emergencies we typically see during the period of contract. Although you can’t plan for an emergency, our maintenance schedule will plan, and budget, for their occurrence. We help ease your mind knowing we have your back, even when the emergency or unscheduled hits. We understand that to keep your business running you rely on your equipment. We offer Monthly, quarterly, semi-annually, and annual Performance Maintenance programs to assist you in keeping the equipment clean and running. 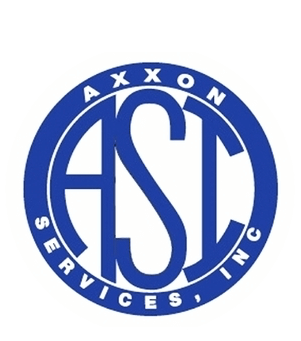 ASI- Axxon Services, Inc. creates and schedules performance maintenance solutions for your commercial refrigeration business. We create plans that meet your schedule, budget, and performance needs. 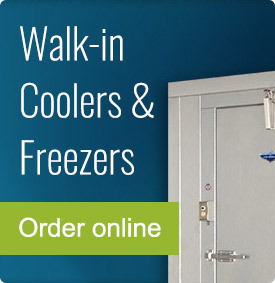 We provide the solutions you need to keep your business running smoothly and your commercial refrigeration equipment performing optimally. We can create a plan that budgets for unscheduled or emergency services. Based on our 20+ years of experience, we will formulate a plan that uses our extensive knowledge to create a plan that covers the typical number of emergencies we typically see during the period of contract. Call us and let us discuss your Performance Maintenance needs. Do I Clean After Each Shift? Some jobs are so important that they have to be performed multiple times each day. You should keep your prep and cook area clean by washing all the dishes as you go, brushing the grill whenever you change the type of food you cook (i.e., changing from beef to fish) and emptying the trash whenever it gets near to being full. You should also wipe down counter areas and switch up cutting boards throughout the day. What Procedure Should I Follow At the End of the Day? When shutting down for the night, it’s important to make sure that the truck is clean and ready for use the next day. You should start by cleaning all of your cooking tools and appliances. For instance, you should clean the inside and outside of the microwave, empty and clean the steam table, and close down and clean all of your fryers. Next, you should clean all of your work surfaces. Last, you should wash your floor mats and sweep and clean your floor. Since food trucks have so many different types of surfaces that need cleaning, a multipurpose cleaning system is ideal. A spray-and-vac system can be used to quickly and thoroughly clean the surfaces and floors in a food truck. You can use the low-pressure spray to apply an environmentally safe cleaner over the interior of the food truck and then use the high-pressure mode to blast all the soil and bacteria to the floor. Then, you can vacuum up the moisture and dirt leaving your surfaces clean and dry. Is a Weekly Cleaning Important? Some food truck cleaning jobs, while important, don’t warrant being done every single night. For instance, you should empty and wash your coolers and ice machines on a weekly basis. You should also clean out your freezer, empty and scrub your coffee maker, and clean your ovens on this weekly schedule. How important is a Monthly Cleaning? It’s enough to do some cleaning jobs monthly, as the soil in these areas builds up slowly, and it would be a waste of time and effort to perform these tasks more regularly. You should wash the walls and ceiling on a monthly basis to keep everything looking fresh. You should also pull out the stove and fryers and clean the walls behind them to remove any built-up grease, which can be a fire hazard. It’s also important to clean your exhaust hoods once a month in order to keep them free of dust, pollen, and other pollutants, as well as grease deposits. Finally, you should clean inside your light fixtures to remove dust and other debris. Do The Coils in the refrigerators and freezers need Cleaning? Keeping the condenser coils on your refrigeration systems clean is the single most important maintenance task to undertake in order to minimize system failure, including compressor failure. Keep condensers on your refrigeration equipment clean by scheduling a cleaning quarterly. 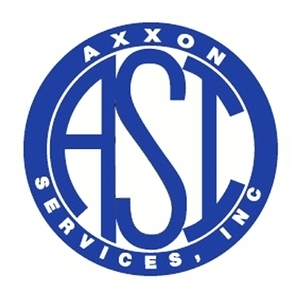 This service should be performed by a qualified service technician with a list of tasks including cleaning the condenser, blowing out the drain, cycle and adjust levels. 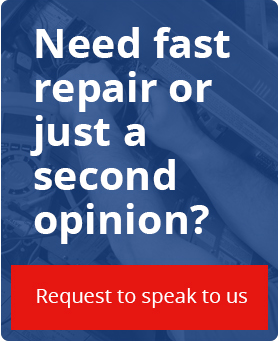 Get fast, same day repair and get back in business!